Although it was a hot day and we had much more to see before it ended, we were all honored to take a few minutes to pay our respects to Rav Moshe. It was the single most aggressive agenda for any single day on our Israel trip. While my whole family knew it would be a grueling day, we were all excited to take in all the holy sites we would visit. Our plan was to begin the day praying at the Kotel (The Western Wall) and then catch breakfast at Café Aroma. We would then head to the Church of the Holy Sepulchre where the Master was buried and resurrected. After that we would head to the top of the Mount of Olives to take in the sights and then take a walk down to the Garden of Gethsemane and Mary’s Tomb. We then would head back to the Old City, walking past the Tomb of Absalom, which some believe is actually Nicodemus’ tomb. From there we would walk to the Bram Center, find a place for lunch, and then drive to the Cave of Machpelah where the patriarchs were buried. Surprisingly, I had one more stop penciled in but I didn’t mention it to anyone else because I thought it would just be too complicated. I wanted to find the grave of the Messianic luminary Moshe Immanuel ben-Meier (1908-1978). Moshe’s story is quite an inspiration as he lived in Israel and became a follower of Yeshua right about the time the State of Israel was formed. He paid dearly for his faith in Yeshua. He refused to convert to Christianity nor did he remain silent with his Jewish brothers and sisters about the Master. This put him at odds with both Jews and Christians, but his faith in the Master never wavered. You can read about his life story in his autobiography entitled From Jerusalem to Jerusalem. I knew from the book that Moshe was buried on the Mount of Olives. But where exactly? Looking at the agenda that day I thought it would be just too difficult to add this mini side adventure. But remarkably, a friend who was along with us for the day told me while we were at the top of the Mount of Olives that two of his great grandparents were buried on the Mount of Olives and he wanted to find their graves. I thought, well, maybe we could kill two birds with one stone. However, the Mount of Olives cemetery is huge. How would we find them? Within a few minutes we found a sign that directed us to phone number to call to find grave locations. My friend spoke to the attendant on the line first and within a few minutes he had the exact plot locations. Then I spoke to the gentleman. At first, he could not find the location, which prompted him to do a Google search. 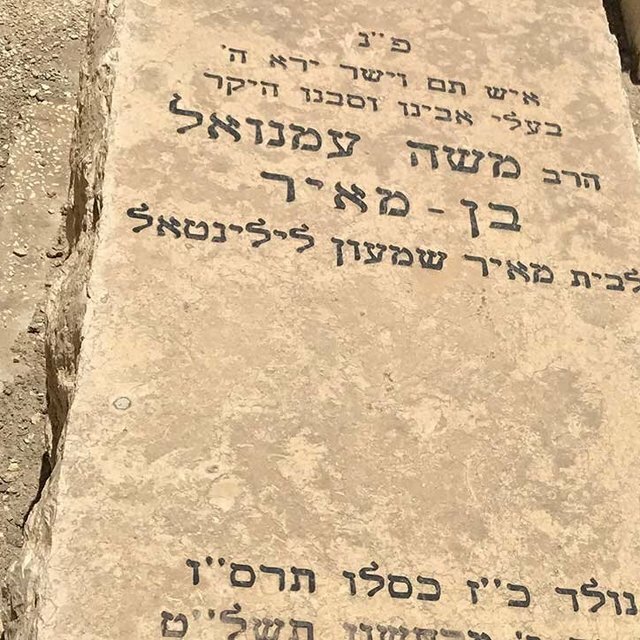 He asked me, “Is he the one who wrote From Jerusalem to Jerusalem?” “Yes!” I exclaimed and within a few more minutes we found the location of Moshe’s grave. 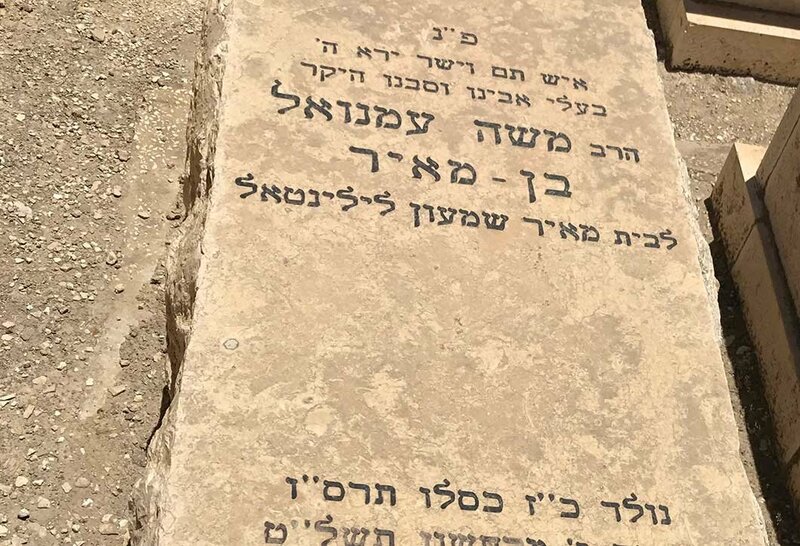 By divine providence my friend’s relatives and Moshe were all buried in the same vicinity. Although it was a hot day and we had much more to see before it ended, we were all honored to take a few minutes to pay our respects to Rav Moshe. Boaz and the Bram Center staff were delighted that we found his grave and made plans to come back at some point in the future to clean it up and take some pictures. God willing, Vine of David will publish something on Moshe in the future as well. May his memory serve for a blessing!